Note: Below is a video I have made, this is the first time using and setup. 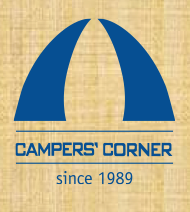 Before I start the post, first of all I like to thanks Campers' Corner Singapore for sponsoring this Titanium Canteen Set. It has been a great addition to our outdoor kit. 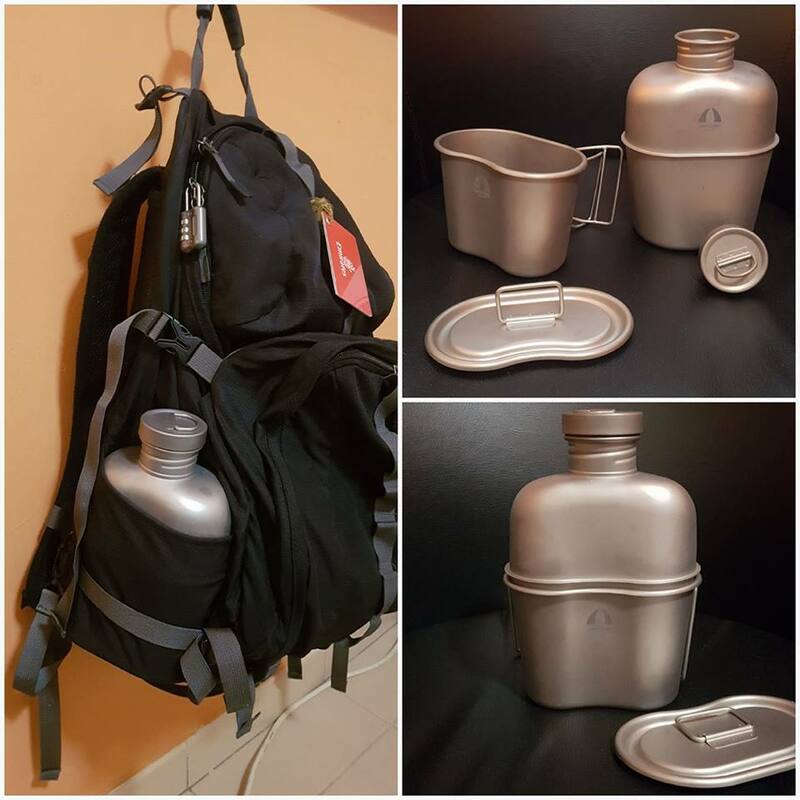 Titanium Canteen Set do not come cheap, I wanted this for quite sometime and was fortunate enough Campers' Corner gave this set to me. 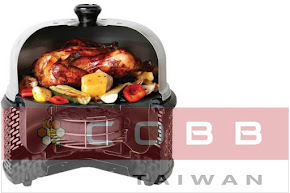 Why this is not cheap is simply because the Canteen alone makes up of 3 three pieces to make one, the bottom, top half is welded together than follow by the screw thread. That is the reason you find the canteen has a middle line and that is the joining area. I am glad it fitted firmly in my Eagle Creek Backpack as the pic show above. This backpack have traveled around World the for 15 years. Usually I will carry a cookset and Nalgene bottle with Snow Peak Mug which nested firmly for both me and partner used. With this new setup, I will save space in the backpack and carry less weight. 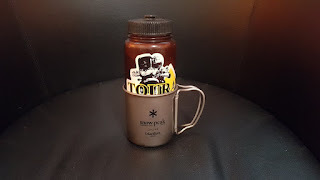 The canteen itself has 1200ml and mug 600ml capacity. 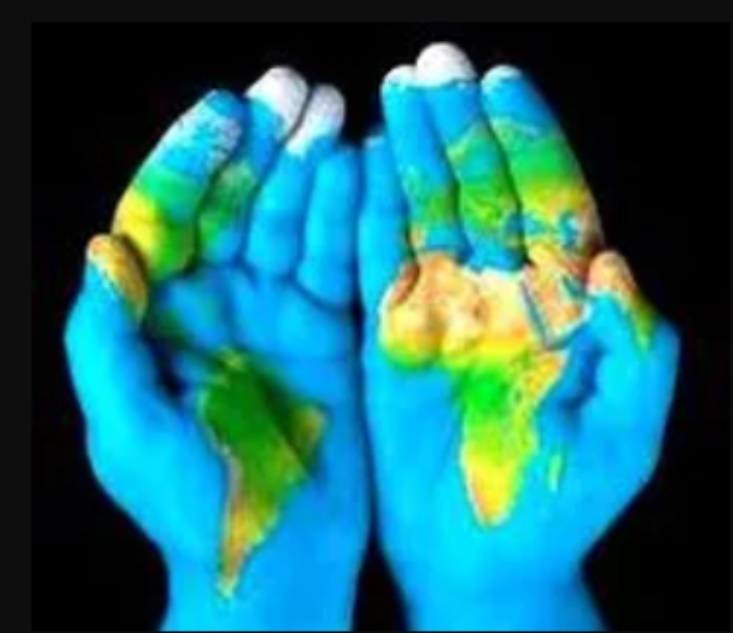 That is more than enough for our traveling needs. Now it will also be a great addition to my solo outdoor needs. My outdoor set will be used with water filter to fill the mug, boil it and pour into the canteen. As it is made of Titanium, it will cool very fast. 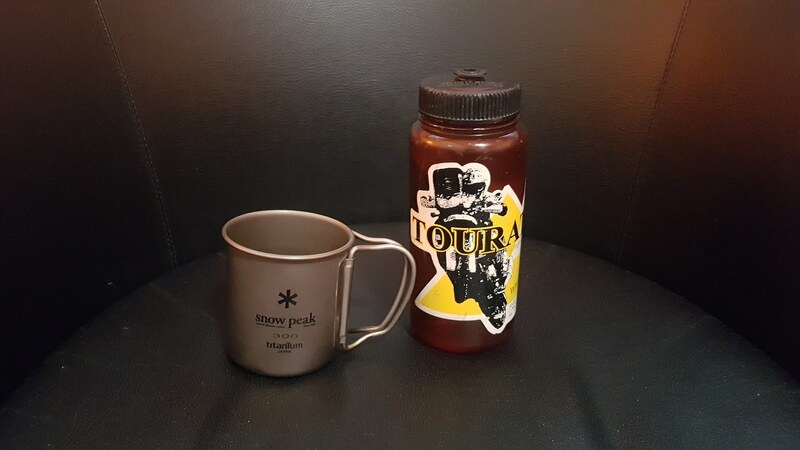 I will still carry a 450ml Titanium Snow Peak Mug for drinks mix. 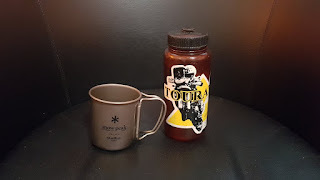 Inside the mug will store Alcohol Stove. It looks very helpful. Thank you for sharing the review.